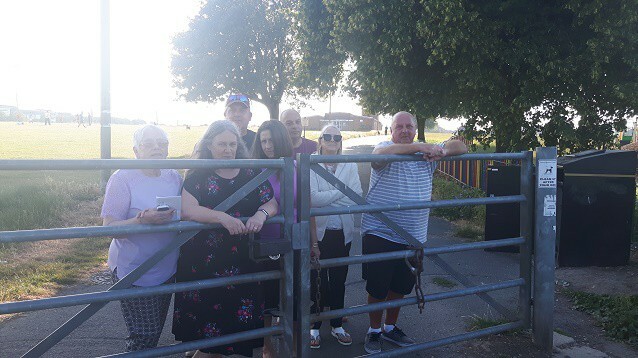 Security measures have been installed at Jackey Bakers fields in Ramsgate after Thanet council responded to a campaign by residents asking for help to prevent Traveller incursions and nuisance bikers from using the area. Jackey Bakers has been the target of five unauthorised traveller camps this year and was also targeted numerous times last year. Residents raised a petition asking for a barrier/bund or secure fencing for the entire perimeter of Jackey Bakers to head of both the incursions and nuisance bikers who were getting on to the green at night. 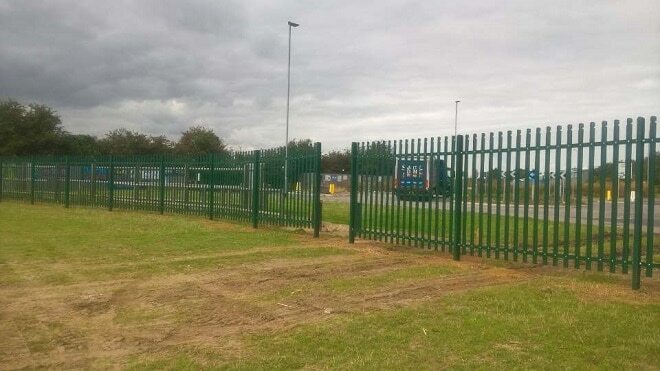 They said they wanted to fundraise on the field with events to help pay for astro-turf, refurbishing the changing rooms and maybe installing cameras but needed the perimeter fencing first. 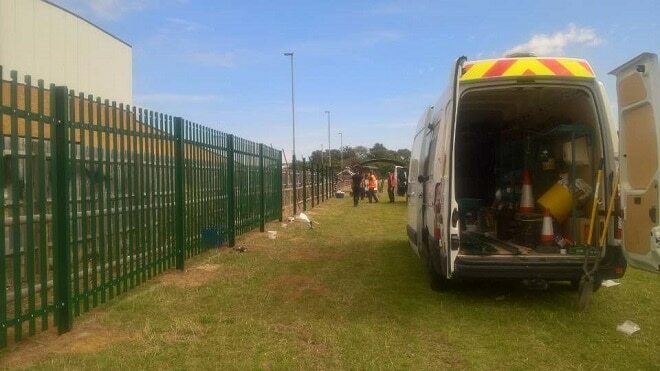 Now extensive security works are taking place with the installation of bollards to restrict vehicle access, CCTV and 200 metres of metal fencing. A similar plea for barriers, a ditch or a bund has been made by residents at Dane Valley where the green has also been used by Travellers’ groups numerous times this year. Flytipped rubble left by a group in June is yet to be cleared. Thanet has had 37 unauthorised Traveller camps this year. In 2010 the figure was 2 and last year it was 40. Last year Thanet council revealed that each court application for the eviction of unauthorised camps cost an initial £226. If further hearings are necessary this can go up to £355 each time. 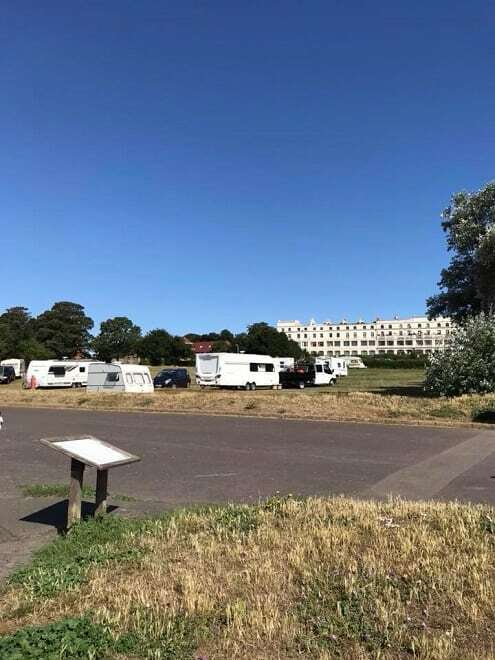 A Traveller group currently remains at the Westcliff in Ramsgate although those most recently at Jackey Bakers and Palm Bay left after being served notice by Thanet council. It is believed the delay in a notice being issued at the Westcliff relates to a welfare concern. Suggestions for dealing with the issue have included providing an authorised site or a Negotiated Stopping’ scheme.